The bike is equipped with a clear and easy to read 3.5” display with a large viewing angle that provides you with feedback on important workout data such as: time, distance, resistance, pulse, Watts, RPM,carbs burned and calories burned. 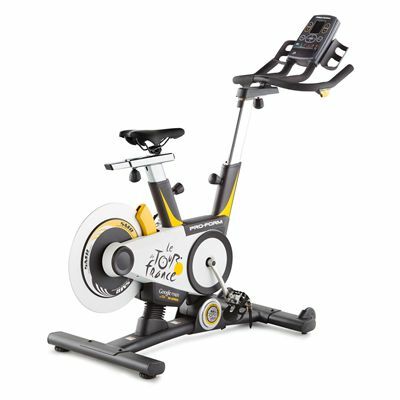 The console has a built-in Intermix Acoustics™ 2.0 sound system that ensures a rich, equalised sound and the Interplay® Music Port for iPod or mp3 player connectivity to let you train to your favourite beats while cycling. 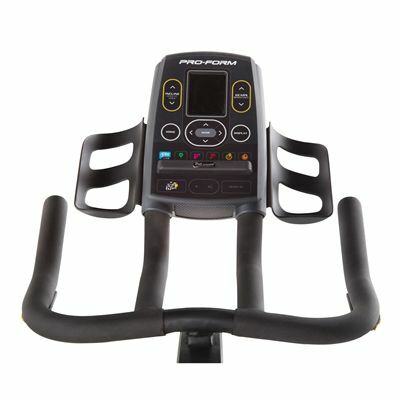 Heart rate with the ProForm Tour De France indoor cycle can be easily measured using dual grip sensors that are built into the handlebars or an optional Polar chest belt for an ultimate accuracy. To more resemble a real road bike the ProForm Tour De France enables you to alternate the gears in a similar way as in an outdoor bike. 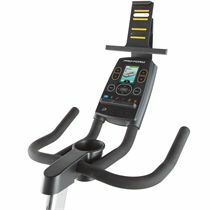 It has handlebar shifters that are placed on the handlebars allowing you to change the resistance without disrupting your workout. Just like in a real bike the left shifter adjusts resistance in the front sprockets whereas the right one adjusts resistance in the rear sprockets. You can select the gear you want with a double or triple chain rings on the front (53/ 39/ 30) and 5 different configurations on the 10 rear gears (11-28). This official training bike of Le Tour de France features the Intelligent Wind Resistance that automatically adjusts the bike’s resistance calculating your height and weight to apply the resistance you would get out while cycling outdoors. Feedback: time, distance, resistance, pulse, Watts, RPM, carbs burned and calories burned. 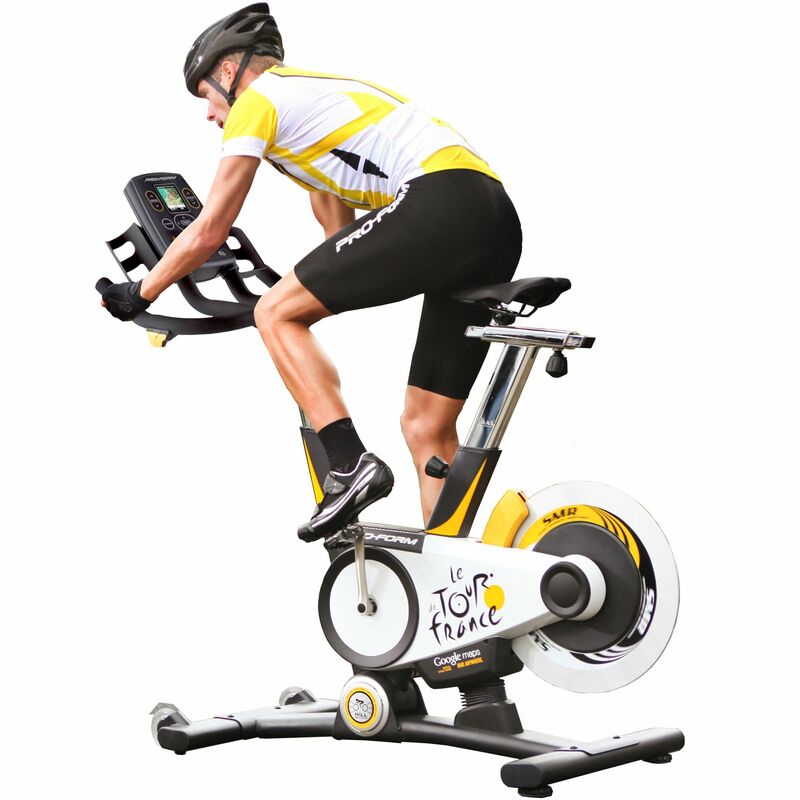 for submitting product review about ProForm Tour De France Indoor Cycle.